We may be new to you but we’ve been delivering fuel in North Yorkshire for over 80 years. Here at Arthur Atkinson we supply domestic and commercial customers with a range of kiln dried and seasoned logs, solid fuel, smokeless briquettes, Calor® Gas Products and Eco friendly biomass products. We offer regular local deliveries and a click and collect service from our premises in Lingerfield. 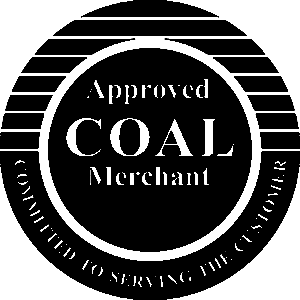 We work closely with all our suppliers, stove retailers, installers and chimney sweeps aiming to educate customers in the importance of using the correct fuel for their appliance. Do you deliver to my area and is there a delivery charge? Orders placed over £50.00 are free. Orders placed under £50.00 generate a £10.00 delivery charge. We deliver to the following postcodes. Please contact us either by phone or via our contact page if your delivery is out of this area, we may still honour delivery but with an additional delivery charge. Yes, the total value of your order must exceed £50.00. All our prices are inclusive of VAT. Delivery is usually within 3 – 5 days from the point of order, please ensure you leave an up to date contact number when ordering. During busy periods this lead time maybe longer, in such cases we will contact you by phone. What exactly happens after ordering & when do I receive my invoice? Once your order is received you will receive email confirmation of your transaction. We will contact via phone to arrange a mutually agreeable delivery date. When your goods are delivered you will receive a receipted invoice via our driver. Am I in a smoke controlled area and can I have a fire in a smoke controlled area? It is the customer’s responsibility to comply with current smoke control legislation. Pick up the phone and call our office we are here to help and give advice where possible, alternatively check with your local council to see if you live in a smoke controlled area. The environmental services department will be able to help. It is possible to have a fire in a smoke controlled area as long as the fuel is authorised. It is also important to refer to the appliance manufacturer’s guidance when selecting fuels. We accept Visa. Mastercard & Maestro (We do not accept AMEX). Alternatively orders and payments may be processed over the phone by calling our office on 01423 863214.